Portsmouth, New Hampshire (CNN) - A group of unaligned New Hampshire Republican officials held a press conference Thursday to defend a much-derided speech given by Texas Gov. Rick Perry in the state late last week. The speakers said Perry's speech had been well-received by the audience, and all expressed shock and dismay at how Perry had been ridiculed for his speaking style that night. "Rick Perry gave a great speech. He was articulate, coherent, passionate and at times even humorous," said Jennifer Horn, two-time Congressional candidate and head of We the People, which has organized a series of forums with presidential candidates including Perry. "We are kind of sick and tired of the gotcha games by politicians and the political press." The event came in response to media attention following Perry's keynote speech to the Cornerstone Action annual dinner Friday. An edited clip reel of Perry's speech - which struck some as being overly enthusiastic - has circulated on social media and cable news. Perry, who recently had back surgery, stated in an interview published Thursday that he had not taken any pain medications before the speech – and had not consumed any alcohol before the speech. The speakers, including two organizers of the event and the speaker of the house, all attended the Cornerstone event Friday. They said they did not intend to prolong discussion of the speech by holding the press conference. Horn said since a weekend snow storm left many New Hampshire residents without power, the speakers had not seen the edited clips and were not aware of the controversy until this week. "I was stunned to turn the television on and to see that people were talking about this in the manner that they were at all," she said. Kevin Smith, who organized the dinner, batted down rumors that Perry might have been under the influence. "The only thing I saw him drinking was water that evening," he said. Thursday's speakers have not endorsed Perry, but said they felt coverage of the speech has become a distraction from serious issues on the trail, Horn said. She encouraged voters to watch Perry's entire speech, rather than the eight-minute "arts and crafts" project featuring clips from the event. In response to a reporter's question, Horn said she had informed Perry's campaign of her intention to address the issue, and had received no objections. House Speaker Bill O'Brien said the officials spoke for many in the audience Friday who were upset with how the speech had been portrayed. He was impressed by Perry that night. "I sat there thinking, we need to see more of this Gov. 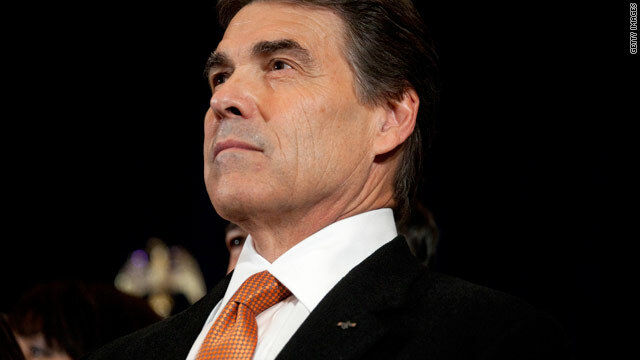 Perry if he's going to move his campaign forward," he said. yea, sure, and the world is flat and unicorns are real. of course they'll defend him! its in the republican handbook! The left wing MSM trying to make up a story. And then they wonder why nobody reads their swill anymore. Doesnt suprise me with out a doubt these are the same group who thought Bush was a wise wise man. "Rick Perry gave a great speech. He was articulate, coherent, passionate and at times even humorous," said Jennifer Horn. And, at other times he was inarticulate, incoherent, disconnected, and during those times he was humorous. Bar keep! Another two fingers for the cowboy who wants to be President! Watch the 25 minute video version instead of the 8 minute edited version and you'll see through all the baloney ! PERRY/RUBIO 2012 !! "We are kind of sick and tired of the gotcha games by politicians and the political press." Yes we are all sick of it, kind of like pointing out an illeagal alien was working as a gardener. The Greedy Old Pigs have lost their minds! "The left wing MSM trying to make up a story." The allegedly liberal media does a story based on a video of Perry's own words and actions and you call that making up a story? Thanks for proving how delusional and out of touch with reality you are. I don't know. If he loses his presidential bid he might try his hand on comedy central. Or maybe he can be a Faux news commentator like Sarah. Good for laughs, but not good for the country.